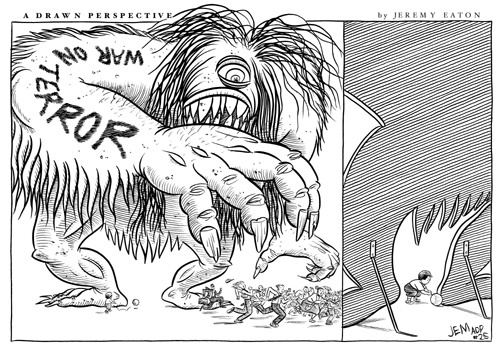 A recent installment of A DRAWN PERSPECTIVE, my weekly editorial strip. India ink on 24lb heavyweight, super-white lazerpaper. Art area is 9" x 6". NOTE: Title at top is not part of original art, but I'd be happy to atttach it, if desired.